The light, tropical flavors of a good Muscat, such as Muscat de Frontignan, is the perfect pairing for our White Chocolate Covered Cinnamon Bun Crunch macadamia nuts. You’ll practically taste the island breeze when you pair the crunchy, creamy nuts with the fruity, light-bodied wine. This style of wine has sweet, caramel undertones that will be enhanced by the creamy milk chocolate covering our succulent Caramel Crunch mac nuts. A good Montilla-Morales to try is Bodegas Toro Albala. This lovely combination is a perfect sweet dessert ending to a filling dinner. 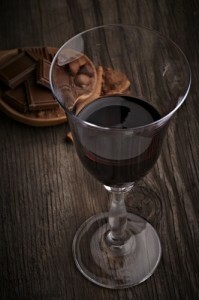 Another good style of wine to pair with milk chocolate macadamias is Shiraz. The subtle flavors on the Shiraz are drawn out by the fat in the chocolate, and the Shiraz will pair especially well with our Milk Chocolate Vanilla Crunch nuts. The slight bitterness of the dark chocolate will complement the underlying current and cherry flavors found in many Zinfandel wines. Look for a lighter-bodied Zinfandel with touches of oak or cedar for the best pairing. Biting into a crunchy macadamia nut covered in high-quality chocolate is one of life’s greatest pleasures, and they’re only made better with a glass of wine. To learn more about our selection of macadamia nuts, chocolate, and other local Hawaiian goodies, visit Hawaii’s Local Buzz.